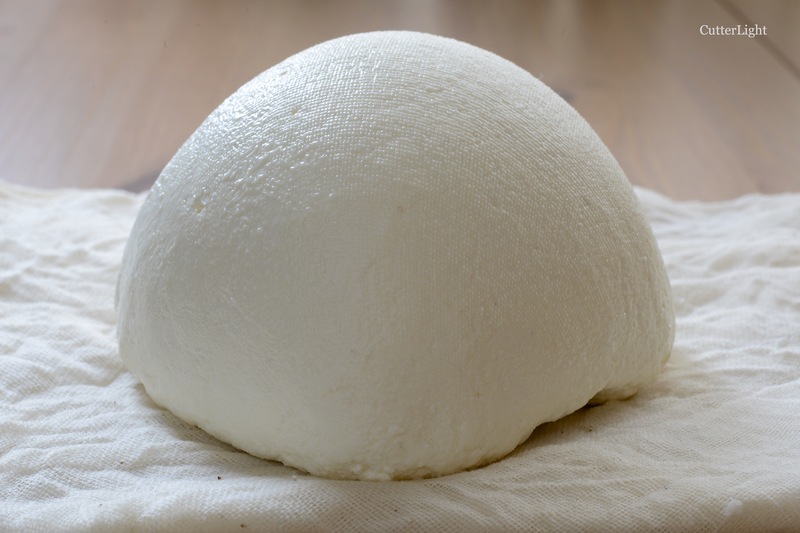 Homemade Ricotta Cheese – As Easy as 1, 2, Cheese! A beautiful round of “ricotta” cheese made in our very own kitchen. Easy to make and delicious to eat! When will lived in the small rural village of Point Hope, Alaska, ricotta cheese was nearly impossible to get. The main way to acquire this cheese was by way of a kindly person hand-carrying it in on a flight from Anchorage. The desire to cook with ricotta and the scarcity of this cheese prompted us to learn how to make it. As it turned out, it was simple. Living in the city of Ulaanbaatar in the dairy-loving country of Mongolia, you would think any cheese we would like would be at our fingertips. Interestingly enough, we have never seen ricotta in any of the grocery stores we frequent. Fortunately, milk as well as vinegar are readily available – all we need to make our own “ricotta.” We place ricotta in quotes to avoid the argument that what we are making is not authentic ricotta. The ricotta we turn out in our kitchen is delicious and works well in any recipe that calls for ricotta cheese. So, in a few easy steps, you, too, can make your own ricotta cheese. You can use the initial warm ricotta to create delicious savory or sweet spreads. You can also let it dry out a little longer to make terrific pasta fillings or ricotta gnocchi. Heat milk to about 165 degrees F (74 degrees C) over medium heat. Stir in vinegar. You will notice the milk split into curds and whey. Let cool slightly. Hang double layer of cheesecloth in a plastic storage container. You can also line a strainer with cheesecloth and place over a bowl for the same purpose. Pour heated milk into cheesecloth to separate out the whey. Let drain for at least 30 minutes before using. The longer you drain, the drier the end result will be. ← Stovetop Pizza – A Fast, Tasty Option Better than Delivery! I brought a reusable cheesecloth back to UB from the States. A men’s handkerchief would work nicely if you can’t find cheesecloth here. In the states, it can be found at kitchen stores and in many grocery stores.